Research Notebook on Strange Phenomena is a practical work that gathers concepts, techniques and strategies that will help you enter the world of enigmas, as it contains numerous practical examples, factsheets, tips and tricks. With it you will learn to easily deal with the different cases you may face and you will know how to act in unwanted situations such as suggestion, obsession, fraud and tricks of the mind. You will learn how to analyze a “mystery scenario”, plan a nightly surveillance, interview witnesses and dive into archives and newspaper libraries to obtain the most complete information about any case. It is, in short, the field notebook that every researcher would have liked to have in his or her library when he or she started out and which fills a gap that has existed until now in this field. 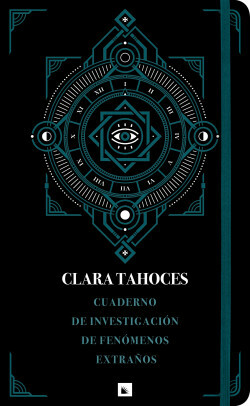 The perfect companion for all those interested in initiating a study of the mysterious and the unusual.